Terapie Homeopata, terapia Spondilitei Anchilozante si Artritei Rematoide. Our remedy, ALSAV PL3 is a third Hahnemannian dilution of ALSAV Pl which is a polypeptide by hydrolysing serum aeqvi. Our treatment it’s a homeopathic one. We may treat arthritis and other rheumatic complains We use to administrate infiltrations (injections) by Dr.Geo Savulescu method. By this method we treat complains with pains as Osteoarthritis, Back pains, Shoulder pains, Sport injuries and other non-infectious painful inflammations. We have a special chapter with Ankylosing Spondylitis and Arthritis. We may treat these complains with success if they are in a beginning stage of evolution ( 1 or 2, ARA). We have very good results with the ALSAV-PL treatment (ALSAV- PL3) especially in Ankylosing Spondylitis which is an illness without an effective, regular, classical treatment. We have good results in Arthritis too and in other rheumatic complains, better than the classical medical treatments by corticoids or by polypeptides which are blocking the immune responce, but in Ankylosing Spondylitis the results are the best one. 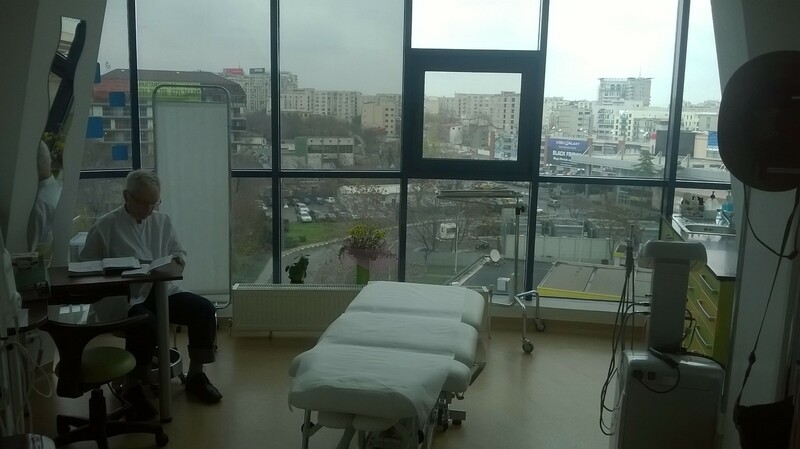 Till March 2014 we treated 810 patients with Ankylosing Spondylitis. A quarter were female. 60 % were cases in early stages of evolution. At all the early stages patients (stage 1 or 2 – ARA) we succeeded to stop the evolution of the complains after 2 or 3 ALSAV PL3 therapeutic series. This patients, generally young male or female, could resume their jobs as healthy people. The late stage of evolution of the patients with Ankylosing Spondylitis were more resistant to the improvement but we could have some success even in that cases. This proving was done in May-June 1996 in Bucharest by the ARADH group for Classical Homeopathy. Our team is working from 1991 in promoting the classical homeopathy. In 1995, in a discussion with Mrs Sue Crump from the London College of Classical Homeopathy, she suggested us to do a proving of a new remedy. For this proving we proposed three different mother tinctures and we sent them to the Helios Pharmacy. The main chemist from Helios chosen one of the tinctures and made dilution’s. He sent us these dilution’s. We received them in March 1996. History. Quercus Robur is quoted in Clarke’s Materia Medica, as a remedy introduced by Burnett, who published in his Diseases of the Spleen a translation of Rademacher’s account of the remedy. Rademacher used the tincture of acorns, and then dilution’s. He did not a proving. He make only treatments. Another researcher, the German Ed. Bach, used red flower of the oak. No proving, as we know, was effective before our. We began to prepare the proving having a new discussion with Sue Crump, the main supervisor. The Romanian main supervisor was A. Geo Savulescu MD . We don’t know which mother tincture was chosen and we don’t know the dilution, or if there are blind tablets. We had only 16-een bottle’s with pills and each bottle had a number. This number became the number of each prover. We had 9 supervisors and 16/een provers. The proving began at 6 May 96 for the majority of the provers. At the beginning one of them refused to take pills (023). Two provers began the proving only the 16-een May (925) and the 20 May (027)-Silvia Gheorghiu, supervisor. Prover 023 refused to take part of the proving too late to be changed. We had, at the beginning, 7 Male and 8 Female provers. Geo Savulescu had symptoms without taking pills. At the end we put it in the proving as number(01X) . Prover nr. 032 stoped the proving the 0 day, she had o strong symptom. For that we agreed that her mother will continue to take the pills. That means the 9-th female prover. Finally we had in the proving 8 female and 8 male. Each supervisor received o book for his use and one for each prover. In each book it was written at the bottom the Instruction for the provers. We thank you for your participation. You will see that this proving will be benefice for you. Before starting the proving. Check if you have your book note and all the information you need. Your supervisor will answer if you have questions. Note each day, before the proving will start, in your book all the symptoms you have, or your relatives tell about. Please, note in your book, the day, the hour, and the minute you take each doses. The remedy will be taken twice each day. In the morning and in the afternoon. Better is between 7-9 a.m. and 7-9 p.m. Please, be attentive to avoid 30 minutes before and 30 minutes after taking the pills to put something in your mouth, even water. If you observe the presence of a symptom, please , talk with your supervisor, and if it is really a symptom stop taking pills. Note the symptom in your book. 1. Something new will happen with your body or your mind. 2. The come back of an old symptom you had. 3. The aggravation of a mild symptom. Please note your dreams, your emotions, changes in your behaviour, not only physical symptoms. Note the symptom the day it happens, not tomorrow. Note all your symptoms 30 days from the first day you began to take pills. At the end, please, note your impressions about the proving. It is something changed in you? Confidentiality. In the proving you have a number and nobody may know your identity, it will be our secret. We thank you for your collaboration and for the time you spend with this proving. there is no matter to progress in medicine, in homeopathy, without provings. Each supervisor was instructed twice. We decided, at the second meeting, to start the proving, for all provers, the 6 May 1996. The proving began the 6 May 1996. Two provers, 025 and 027, started later, the 14-een May, and 20 May. There were no problems during the proving. We stoped the proving after 30 days. The prover 027 stoped the proving the 20 June. We began to have discussions with each supervisor and them brought their books. At the end of June 1996 all the material was collected. We had a general discussion with all supervisors to decide which symptoms had relevance for the proving. In September 1996 we succeed to have write down all the symptoms. We had a discussion with Sue Crump and we had a new draw up of the symptoms. We began the English translation and we had know that the remedy is Quercus Robur. I gave her Q.R. 7 CH, each day some drops in the morning till the eruption was present. After 30 days I received a call from her parents. They said that the eruption disappeared after three weeks of daily treatment. I advised to stop the treatment. In 18.02.98, they called me again and their daughter was OK. No problem till now. I had other 7 patients treated with Q.R. that had anxiety and hurry’s. I gave them Q. R 7CH, daily, the morning, two weeks. They changed in calm persons and they were no more in harry for anything. They were checked one month. She drinks sometimes 2-3 coffees in the evening and smokes a lot. NS. 9 Pains in the epigastrium . NS. More about about the ALSAV – PL3 treatment. We propose the ALSAV-PL3 treatment in no microbial or viral inflammatory illnesses. Inflammation means tumor, rubor, calor, dolor and functional disorders. We give the hypothesis that many of the main illnesses, or less important ones, have the begin with inflammation in the subjunctive tissues and in muscle. This hypothesis we work to needs no proof because ALSAV – PL3 is a homoeopathic medium and we use it, as we use any other homoeopathic mediums, to have a direction offered by the symptoms of the illness, the pains and the functional disorders. The symptoms we take care there are very different from a patient to another patient even it is only tumefaction, pain and functional disorders. For that we need to give a general treatment associated with an loco- regional one. The loco- regional treatment we’ll be conduct by injections, subjunctive and muscle injections ( as examples; around joins in pain). The ALSAV – PL3 treatment is a general and loco-regional treatment practiced only with the Dr. Alexandru Savulescu/Dr. Geo Savulescu method of treatment. I have to mention that a lot of people helped me without any profit in succeeded to realise ALSAV – PL and ALSAV – PL3. Between them the main were Dr. Roger Simionovici, Dr. Marilena Görfi, both from the Chemical Research Institute Bucharest, chemist Dinu Stavri from Cantacuzino Institute, physicist George Dragan. I have to tell you that an important producer of homoeopathic remedies as Heel Healthcare (Austria) offered for the medical homoeopathic treatment not only granules or solutions for under-lingual administration but even viols for local injections because the most important in medical treatments is to cure and not to have limitations in the modalities of treatment. I make no a secret, because ALSAV – PL3 is a homoeopathic remedy, it is more than 99% water, distilled water. But what water? Physicist George Dragan used a demonstration with the Differential Thermal Analysis (DTA) and Topoenergetic Analysis and showed me (in 1989) that this water from ALSAV – PL3 had a different density from the distilled water we started. That is because it contains not separate molecules of H2O but clusters of water molecules which changed its function in a kind of a shadow of a more concentrated polypeptide solution. It’s way with this solution of ALSAV- PL3 we had good result in the cure of loco- regional inflammation. It’s a hypothesis sustained by the works of Dr. Roger Simionovici and Dr. Marilena Görfi quoted in this web page. This could be an explanation way homoeopathic remedies cured illnesses having only water cluster instead of chemical medecine. 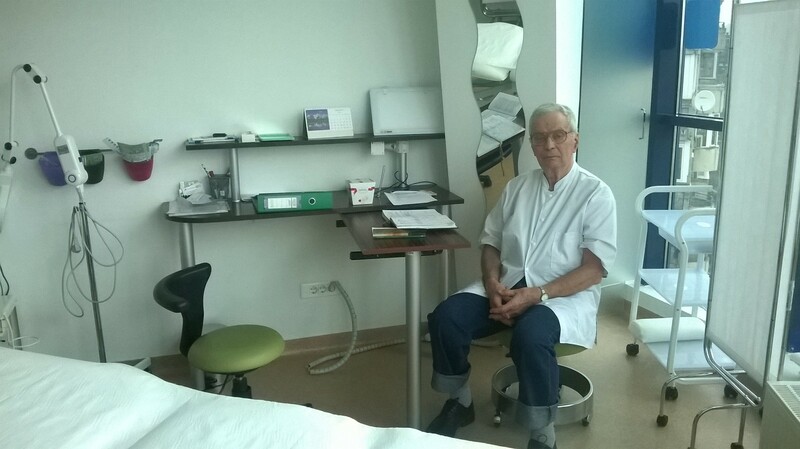 About the history of ALSAV – PL3 I may tell that Alexander Savulescu, rheumatologist, was a follower of Alexandre Besredka (Odesa, Ucaine, Pasteur Institute Paris) and dose Besredka’s desensitisation treatments with polypeptide solution (Aktoprotin, Kinoin, Budapest). He had some papers about the cure he realise in the Revue de Sensibilisation, Bucharest, Roumania (1933-1935). In 1950-1955 he continued his treatment with polypeptide solution in rheumatic illness. 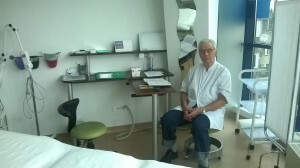 In 1975 I (Geo Savulescu, MD) have succeed some chemical tests and I continue this treatment. I presented the result of the cure of some Ankylosing Spondylitis patintents at The V International Rheumatologic Congress in Bucharest and I published a paper in Rheumatologia Practica, Lisboa, Portugal. In 1982 I succeeded to do with the help of chemist Dinu Stavri (Cantacuzino Institute, Bucharest) the medicine I call today ALSAV PL. In the same year I have a Patent for this medicine. In 1984-1986 it was used in some hospitals in Bucharest and Craiova as clinical testing of the treatment. I got the permission to continue to treat. In 1987-1989, with the help of M.R. Simionavici, MD and Marilena Görfi, MD, both from the Chemical Research Institute, Bucharest, we have done Pharmacologic-dynamic and Anatomically-pathological results published in Viata Medicala, nr.6, 1989. In 1987- 91 I treated patients with rheumatic illness in Vadu Lat Hospital, in Giurgiu Hospital and in Balotesti Hospital (Ilfov country, Roumania) with good results. In 1989, with the help of physicist George Dragan I begin to use ALSAV – PL3 homoeopathic dilution in my treatments. Since 1991 till now (2014) I use only the ALSAV – PL3 treatment in my own medical practice office.